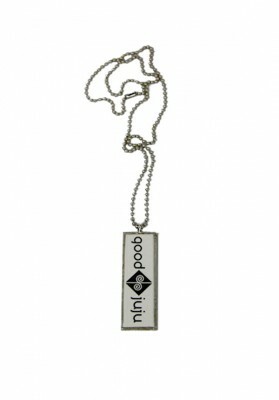 Our Good Juju black and white logo necklace proudly displays The Good Juju Energy Symbol/Logo. 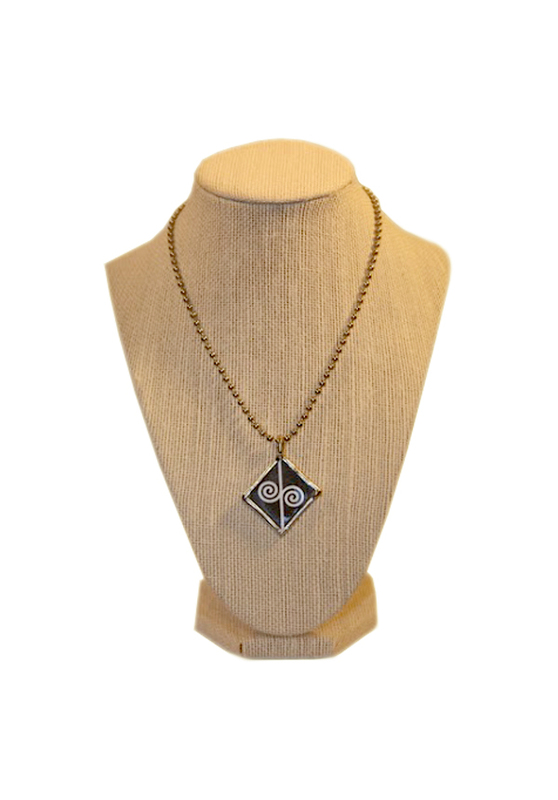 Our handmade pendant is black and white, encased in a 1 ½ inch silver color setting with a military style chain that hangs 7 ½ inches long. The logo represents the connectedness between your thoughts, deeds, actions and your life! 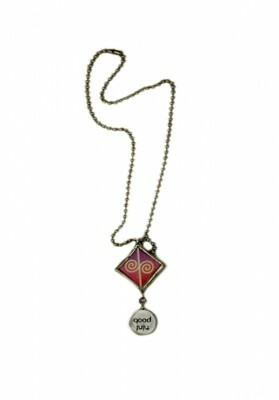 Perfect for to wear everyday! 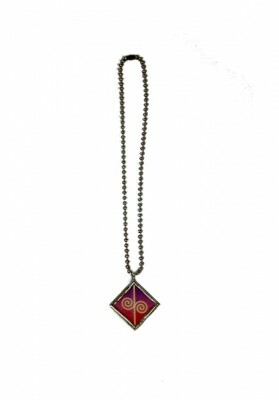 This necklace shows you are a person full of energy! 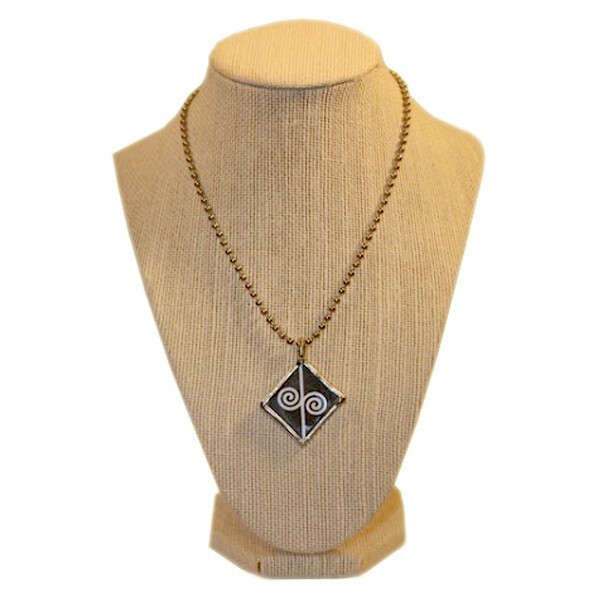 Also, this pendant makes a great gift!